[Poetry must be made by each and everyone]. On this site you will find a variety of critical articles and excellent visual détournements. We hope to render selections from these in translation sometime in the not-to-distant future. This demand of Ducasse’s remains yet to be fulfilled; and thus it still stands amongst those slogans to be put to use by revolutionaries today. 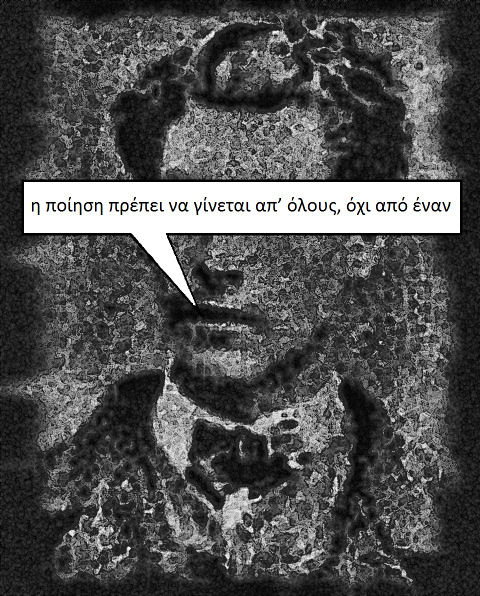 This entry was posted in Critique, Translation and tagged Comte de Lautreamont, critique, détournement, demands, Greece, Isidore Ducasse, Poésies, poetry, Poetry must be made by each and everyone, revolution, slogans. Bookmark the permalink.